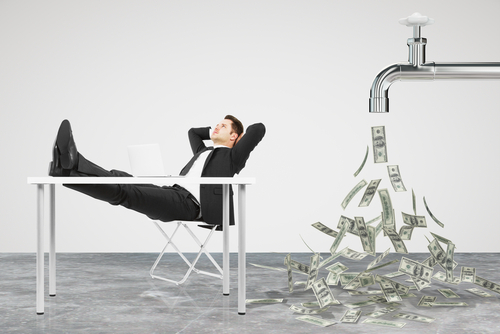 Passive income is a flow of money received from a business that requires minimum to no maintenance. Even students can start having a passive income. Sounds good? That’s right; passive income happens when a regular stream of earning occurs even if you’re asleep. It has long been a dream of every entrepreneur looking for freedom from daily duties and responsibilities. However, every business will require you to spend so much of your time, effort and skills in the beginning. Of course, it’s not easy to pull together a good business that will give you passive income. It will also require you to invest money and a significant amount of time without a single dollar earned. It could go on for months without having a sale. This could make any entrepreneur quiver and fear for dear life. That’s why passive income businesses are often just a fallback or a second business option. 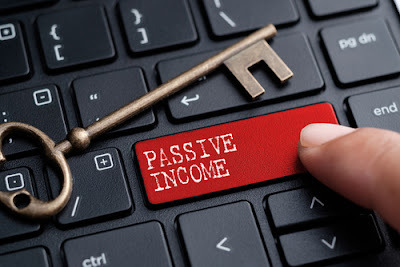 It’s essential that you have a steady income from another source before you rely on whatever earning you’ll get from a passive income business. Then, once the system is all good and up and running, you can sit back and relax, and watch your money grow right before your eyes. Making an ebook is pretty common for writers, bloggers, and content creators. Writing a “How-to’s” or “How to get started” ebook is an excellent way to attract readers to spend a little for much-needed information. You’ll just have to be careful about how you price your ebook. Know the value of every niche. Make sure that your target readers will be willing to spend such amount for the information you’re going to provide. You’ll have to learn digital marketing strategies, and have your own SEO optimized blog page where you can introduce and sell your ebook. You can also have affiliates sell your ebook by listing it on affiliate marketplaces to get a large percentage of the sales. Affiliate marketing can be easier than making your ebook. It’s as simple as creating a blog and having affiliate links where people can click and learn more about the products or services you are affiliated with. Then once a customer pays for a product or service using your link, cha-ching! All you need to do is make sure you have a steady stream of followers and visitors on your website, then let your blog do the talking. What’s great with being an affiliate is that you’re not tied to one product alone, you can sell and advertise as many products as you want. The best part is, you’re not the one to worry about the products or services, you just promote them. Payment for affiliates depends on the niche you choose. It would be best to select products in a niche that already offers affiliate programs set up. To succeed in affiliate marketing, focus your website to a single niche so that it’s easier for you to target your audience. Make them trust your opinion to buy the products you promote. The best products to promote are digital products like ebooks, membership sites, and online courses. They usually give a higher affiliate percentage. You can learn more from journalreview.org on how to market and promote your products on the internet. One of the best platforms for online selling that has a high potential for passive income is Amazon. This is called e-commerce. This could be the easiest and fastest way to earn online. Why? Because creating an ebook or other info products can take an eternity to do and promote. Although the return can be surprising, you’ll have to have the know-how and expertise in the niche you choose to write about. And writing is not for everyone so you can choose to sell physical products and let Amazon do all the heavy lifting. Just make sure to do your part in promoting your products and leading people to your Amazon postings. It’s much easier than having to build your website and start from scratch. Amazon already has millions of visitors and site traffic every single day, and it’s where you’d want to be to get your business on the move. If you have a knack in writing and you’ve already started blogging for fun, you can turn that passion into something that can make you earn passive income. Blogging is both fun and creative and lets you do the things you love most. Say you’re a frequent traveller, then you can write about your trips and how you can save while you enjoy. That’ll make all other travellers want to read your blogs because they too don’t want to break their bank accounts while travelling. This is really easy for those who already have a target audience and have great ideas in mind. It has potential in reaching millions of people in social media when your blog is something that‘s appealing and relevant to our daily lives. Tailor fit your blogs to your target audience, and you’re sure to be successful in this field. Then partner up with businesses who are in the same industry. You may promote them for a fee as you write how much you benefited from using their service. 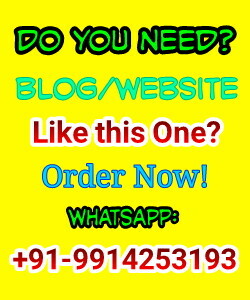 Anyone who trusts your blogs and sees how well you have done with your own experience will surely get the same service. Win-win for both you and your partner business. You don’t have to have a master’s degree in business to have a business. All you need is diligence to research and learn new things. You don’t have to be broke if you’re a student. Online businesses are quickly becoming a great source of funds. Then as you near your graduation, your business would also have grown to be a significant passive income generating business. Everyone has a passion, turn that passion into a business! Now is the best time to leverage the internet because everyone is looking for everything online. Let this article guide you in whatever online business you want to pursue.